"The time that she took to get to know me and understand my style as a woman translated into the best makeup artistry I could have asked for." 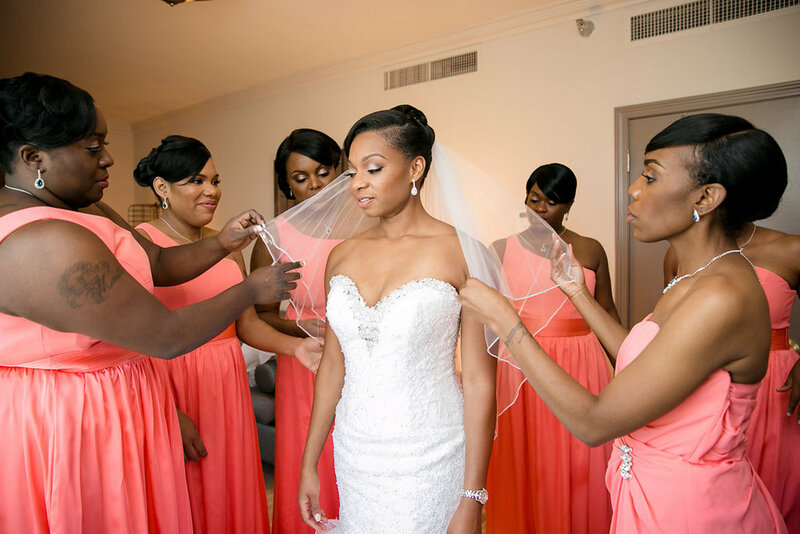 "She was so great at listening and creating the exact look I wanted for myself and my bridesmaids." “Imogene is so great at what she does! Not only is she a great makeup artist,she is very organized and timely. I did not have to stress about makeup the day of and that meant so much to me! She was so great at listening and creating the exact look I wanted for myself and my bridesmaids. She also was more than willing to make any changes to things I didn't like. I loved the Fontella Cosmetics lipsticks that she used for my look and many of my bridesmaids looks. I will definitely be adding a few shades to my personal lipstick collection just because of my great experience with them on my special day!" "I looked and felt like the most beautiful bride to ever grace an aisle." "My wedding day was one of the most amazing days of my life. I owe part of that to my wonderful Make-up Artist Imogene. I looked and felt like the most beautiful bride to ever grace an aisle. Imogene and her staff were very professional and knowledgeable about her technique, products, and styles of makeup. They were on time and prepared to do all 12 faces, with different skin tones and textures, and likes and dislikes. She different beautifully on all 12 faces. I was thoroughly impressed with her quick response to all my crazy requests. She even helped my husband with a cut he received from the barbershop. Imogene helped him conceal and cover the cut, and I never even knew about it. Amazing Job Imogene!!! "